Our refrigerated warehouse is located at the crossroad at the crossroad between the highways A9 and A75. 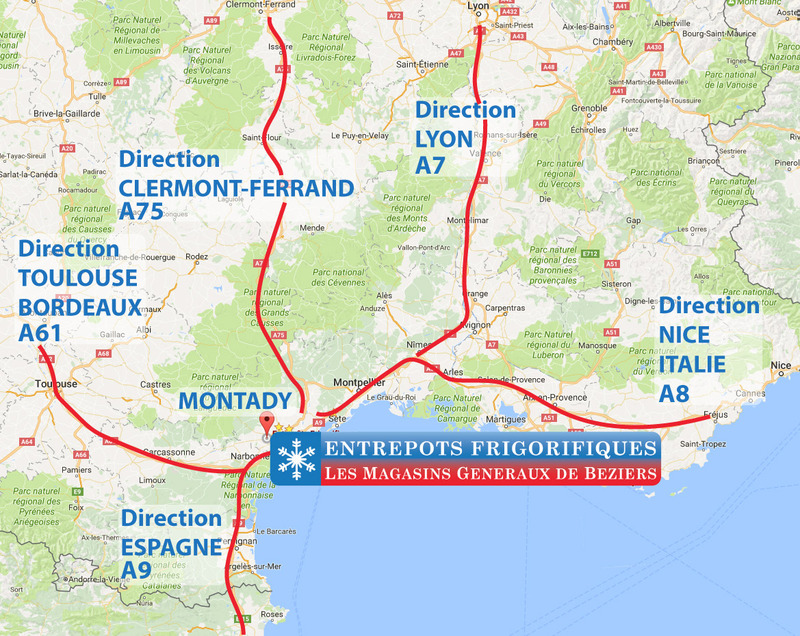 All refrigerated warehouse of Magasins Généraux de Béziers are ideally located on the East-West (Italy-Spain) and North-South axis (Lyon-Perpignan). In the heart of the Occitanie region (Languedoc-Roussillon), in Montady, the warehouse is next to Sete's Harbor and to Spain. Stock management in real time.